KJAM Radio in Madison South Dakota celebrated the 55th anniversary of its AM 1390 station in 2015! “Reaching People Is Our Business”. KJAM serves Madison and the Eastern South Dakota Region. Weather, news, sports, agricultural programs, plus Hot Country Music on FM 103.1 (Jammin’ Country) and Classic Hits of the ’60’s and ’70’s on KJAM AM 1390 (Dakota’s Best) with an emphasis on local and area information. 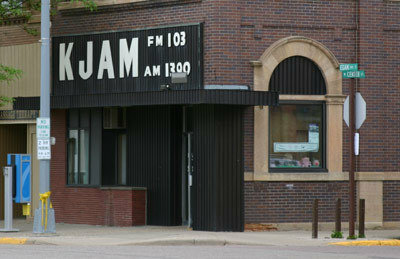 KJAM Radio is the ONLY radio station in Lake County South Dakota. Plus our coverage includes McCook County, Miner County, Moody County, Kingsbury County and Brookings County, SD. A sample of ‘local coverage’ includes: School Board meetings, City and County Commission meetings, school closings due to bad weather, Madison Chamber of Commerce events, area Church programs and local charity fundraising activities. KJAM Radio is proud to offer two distinct radio stations formatted for a variety of entertainment and information 24 hours a day. 5:06- Daylight Final of News, Markets, and Sports.